Bleifer’s interest in food only grew over the years. In graduate school at Rochester Institute of Technology where he pursued his MFA in Photography, he used time between classes to watch cooking shows on cable. While working as a freelance photographer after graduation, Bleifer realized his true love was food and moved to New York City to begin his culinary education at the French Culinary Institute in 1994. Upon completion, Bleifer worked as a line cook at Park Avenue Café for a year. During that time he received a tip that freelance work was available at Food Network. When Bleifer began work for the network in 1996, it was still very new, but with his background and skill set, it was a perfect match. 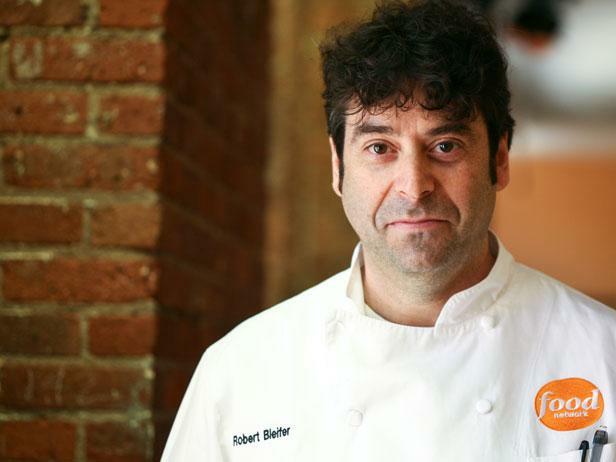 As Executive Chef at Food Network, Bleifer is responsible for everything from managing kitchen of ten, to hands-on food styling and cooking for special events, to coordinating with network Production teams, Chef/Hosts, Guest Chefs, photographers, and network departments. He oversees in-house food production, location production, photo shoots, vignettes, and food for more than 100 Food Network events annually. Recently, he has become wine-blender on entwine, Food Network & Wente Vineyards partnered wine. He has also had an on-air presence, judging numerous Food Network Challenges, catering the 3 Food Network Wedding specials, and many other “cameo” appearances. He completed his undergraduate work at Union College with a BA in Economics and recently moved to the suburbs of NYC with his wife and daughters.